US-China trade war. What was actually agreed on tariffs? Neil and Dan discuss the language from this story. 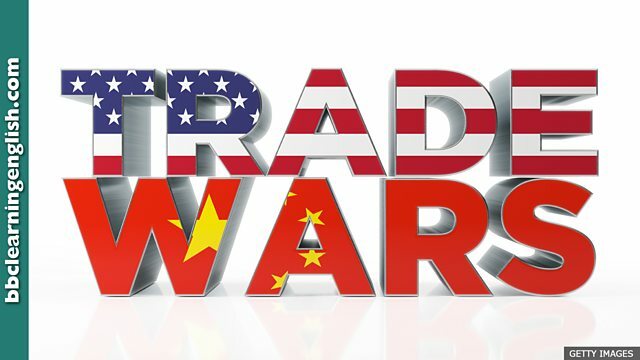 US-China trade war: Deal or no deal? It seemed there was a breakthrough in the US-China trade war at the G20 summit. But the details of what was agreed between Presidents Trump and Xi are not very clear. How do you spell this synonym for 'confusion'? The deal brought relief, temporarily at least, with the US postponing moves to increase tariffs on China in the new year. But now there is widespread confusion over the details with senior figures in the White House contradicting each other. China has so far refused to confirm claims from President Trump that it will remove and then reduce tariffs on cars imported from the US. • It was his slapdash attitude to procedure that eventually cost him his job. • I didn't have enough time so the cake's a bit slapdash, but it tastes great! • Before considering divorce, let's take some breathing space. Let's try separation. • Many students take a gap year for some breathing space before getting a job. • It's been a bumpy ride. I thought I'd fail but I finally passed my exams! • Inflation and unemployment are up. The economy is in for a bumpy ride. I can't believe I've finally graduated. It was a ______ but I got there in the end. Your work is ______. If you spent more time on it, the quality would be much better. A bit of ______ can help you make the right decision.